Scuderia Cancascì high professionalism throughout Italy in 'breeding, Sale and Horse Training of all races. 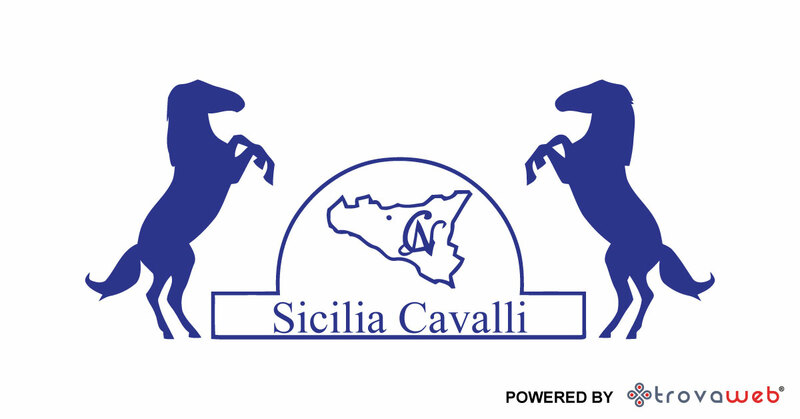 In via Inzana 49 in Caccamo (Palermo), Scuderia Sicily Cavalli trainers and Horse Breeders qualified and competent, with passion and dedication to the equestrian world, treat specimens with excellent specialization in Andalusian horses. Scuderia Cancascì It specializes in breeding, Sale and Training Andalusian Horse. noble breed, show, stylish, the Andalusian horse is a native of the Iberian Peninsula, from the homonymous region of Andalusia, appreciated throughout the world for its qualities. Elegant bearing and lightweight, handy and unique in performance of the Spanish steps, the Andalusian is also prized for its aesthetic features, the long, thick mane, usually collected in a soft braid, and soft tail that touches the ground. Also used as a founder and improver of other breeds, our handling horses Sicily working with this wonderful breed, which exports not only in Italy but all over the world. Sale and Training of Horses in Sicily, Scuderia Cancascì He devotes with experience and passion for several generations by the equestrian world. An activity that is now being carried out with great dedication by Cancascì AntoninoBut that comes from his grandfather and his willingness to take Palermo, And more precisely to Caccamo, The best in races and training known in the equestrian world. Sicily Horses always it took care of the selection and breeding of thoroughbred horses, exported internationally, thanks to the introduction of new specimens as Quartet Horse, Arabic and Andalusian, The leading horse. Thanks to a steady job and attentive and the selection of stallions pure blood, Scuderia Cancascì It boasts a wide range of quality specimens to the highest international standards. Not only Horse breeding in Sicily Horses, Stable Cancascì is also expertise and experience in Sale, Training and Equitation. Discipline, love and knowledge are the basis of the various training techniques Antonino Cancascì and all his staff who daily engages in education and multi-purpose training of horses safe, efficient and proficient. From Trekking for safe horse management, training can become intensive and specific for the different equestrian sports such as Team Penning, the Barrel Pole Banding, sports events, Jump and High School. Respect and care of the animal, with a personalized training on the needs and personality of the horse, invariably leads to a great satisfaction of trainers and customers, who can claim such exemplary docile and capable in different disciplines. Scuderia Cancascì, In Inzana to 49 Caccamo, in the province of Palermo, is Breeding - Training - Sale of Horses in Sicily and Italy. World of Horse 360 degrees: history Scuderia Cancascì It born from a genuine love and passion for the equestrian world, which over the years and with each passing generation, led to the creation of bloodlines pure-bred and the increase in breeding new types of races, including the Andalusian HorseExported internationally and trained according to the canons of the High School. Besides breeding, Scuderia Cancascì in Caccamo It has extensive experience in Sale and Horse Training aimed at different equestrian sports. If you are an expert and a lover of horses and want to rely on professionals who care about the welfare of their specimens visit Scuderia Cancascì Sale and Training Horses in Caccamo Sicily - Palermo.